4 - 7 years. From skyscrapers up high to tunnels down below, structures are built by people. 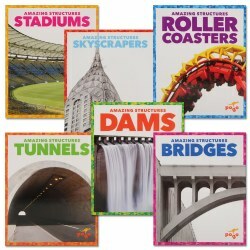 Learn how they are built and why we build them in this engaging book set. Set of 6. The perfect start for any classroom listening center. 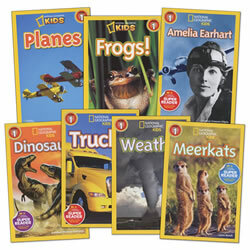 This set of books includes many famous and popular picture books that children will love. 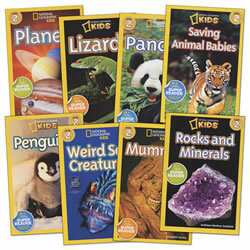 This would also be a good set for storytime at home. 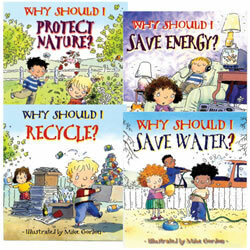 Set of 8 paperback books with CDs. 3 years & up. 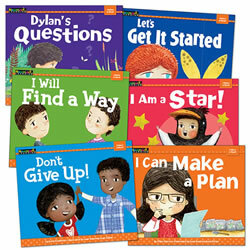 A valuable resource to promote and encourage reading! 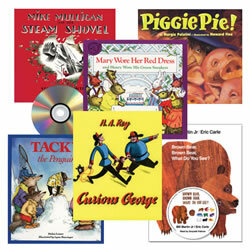 This set features 6 beautifully-illustrated books and a CD that helps to foster great read aloud experiences for children as they listen and follow along. 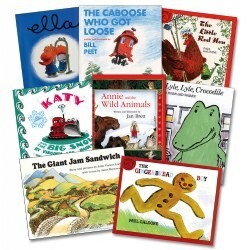 Book titles include: Mike Mullican and the Steam Shovel, Piggie Pie!, Mary Wore Her Red Dress and Henry Wore His Green Sneakers, Tackey the Penguin, Curious George, and Brown Bear, Brown Bear, What Do You See? 3 - 7 years. Let's take a walk and discover nature outside in our own neighborhood, playground or park. What do you see? 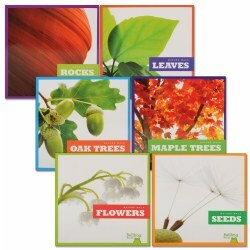 These books help children learn about the trees, flowers, rocks, and seeds with beautiful photographs. Set of 6. 3 years & up. 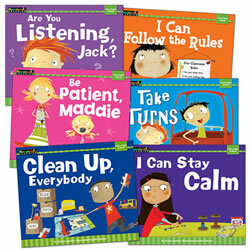 This book set consists of classroom read-aloud stories that are filled with fun and rhyme. 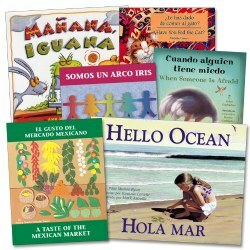 Each book features rhythmic language and familiar repetition that makes it easy to follow along. 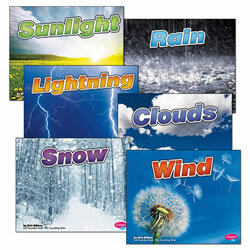 Children will recall what is to come next and feel that they are part of each story. 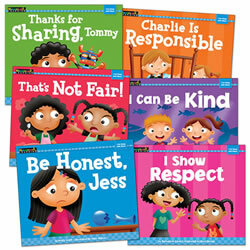 Set of 7 books. 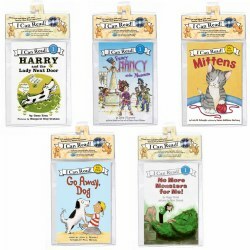 This set of 8 books along with CDs will delight your students as they enjoy each of the stories from laughing out loud to the fun tales or listen intently and waiting to see what will happen next. Paperback. 3 - 7 years. 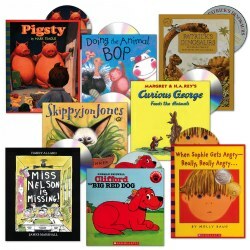 Great read along stories to add to your listening center and as children listen, they will hear a message as to when to turn the page. Set of 5. 3 years & up. 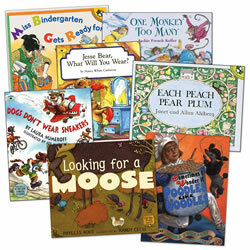 These lively rhyming stories are full of fun illustrations. 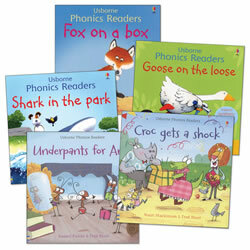 Each book has simple rhyming text and phonic repetition designed to develop essential language and early reading skills. Guidance notes are provided at the back of each book. Set of 5 paperback books. 3 years & up. 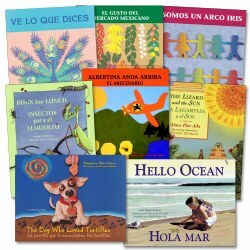 This bilingual book set offers an opportunity to boost literacy and language development. Written with Spanish and English appearing side-by-side. 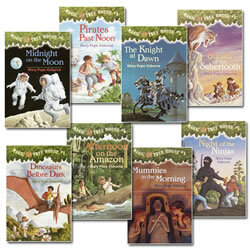 Set of 6 paperback books. 3 years & up. 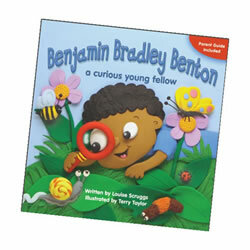 This book and CD set consists of classic stories children will enjoy and sing along with as well. 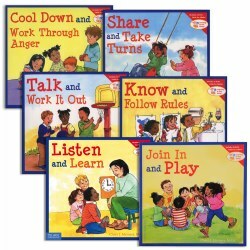 Perfect for the listening center or for a singing group activity. 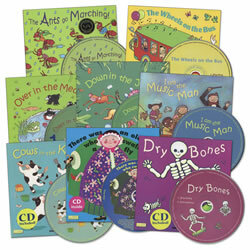 Children will develop their listening and retention skills as they remember the tunes. 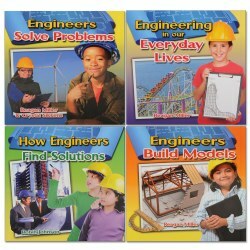 Books include: The Ants Go Marching, The Wheels on the Bus, Set of 8. 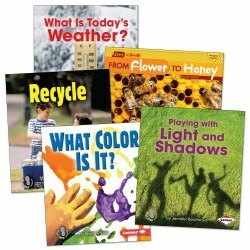 Help children learn to see math in a variety of ways by using books. 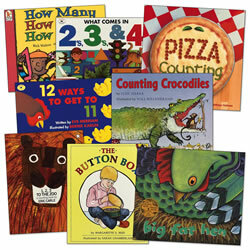 This paperback set will have children counting, exploring number concepts and sequencing in no time.